This past summer, the Pew Research Center published a report on the “Digital Revolution and Higher Education.” The whole report is worth a read, but we’re drawn to the charts. Here are a few. In these, only 15% of college presidents said that most of their students have taken a class online. 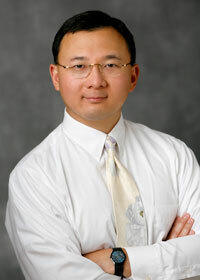 But half think that 10 years from now, most students will take classes online. Interestingly, college presidents see a greater educational value for online learning than the general public. Some 51% of college presidents polled said online courses offer an equal educational value, compared to classroom courses, versus just 29% of the public. Here, we start to see which types of colleges are leading the way in online learning: community colleges and less-selective colleges. Those trends are expected to lead the way, with 4-year private school presidents considering their undergrad student bodies the least likely to be taking online classes. 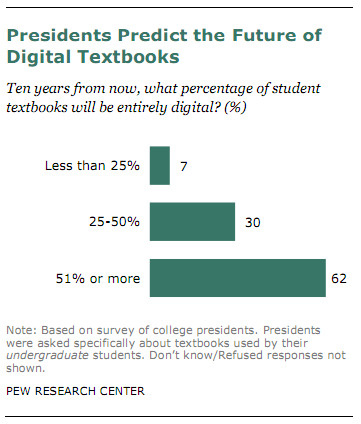 Not surprising: 62% of college presidents think that more than half of student textbooks will be entirely digital in 10 years. Only 7% of college presidents think that less than 25% of student textbooks will be entirely digital. What’s helping that trend? Apple’s iPad. 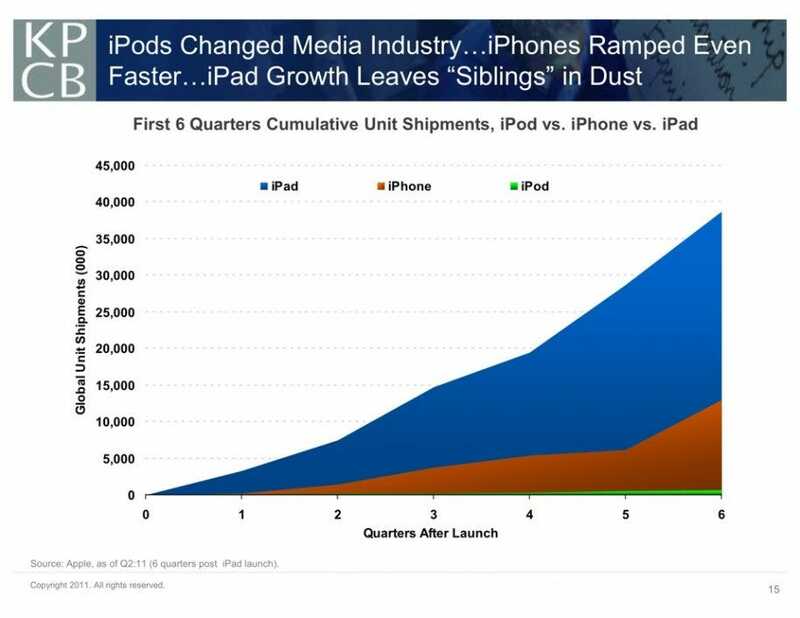 Here’s a bonus chart from Kleiner Perkins’ Mary Meeker showing just how fast the iPad is gaining steam relative to the iPhone and iPod. POLL: What Technology Will Change Learning The Most?